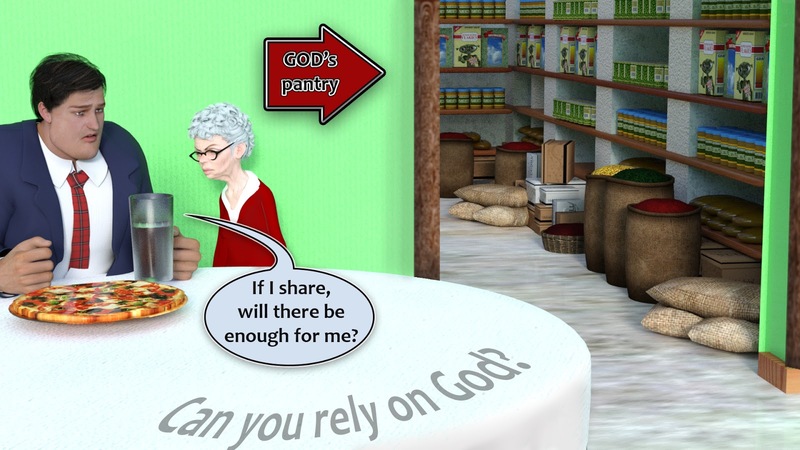 churchtoons, cartoon bible messages from church: But will there be enough for ME? But will there be enough for ME? When Jesus taught His disciples to pray, He encouraged them to ask for their daily needs. When we consider our resources, like our food, emotional strength, or health, we should remember that it's God who supplies these resources, and He has an unlimited supply from which to draw. How might you rely less on your own resources this week and believe God will supply your needs?